5-6pm EST: "The Randy Report" is a syndicated show on Left of Str8 Radio, from our good friend Randy Slovacek, whose popular blog, The Randy Report, has been reporting on Politics, Pop Culture and Current Events happening of interest to the LGBT Community. We are happy to syndicate Randy's weekly news round-up, and 'best-of' the Randy Report interviews. 6-7pm EST: "Voices for Change 2.0" is a talk radio show hosted by husband and wife Joe and Rebecca Lombardo, that looks to help get rid of Stigma in the Mental Health community. 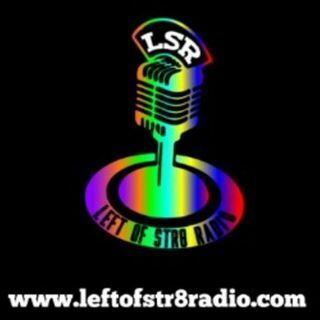 The show airs LIVE every Saturday at 11am, right here on Left of Str8 Radio, and this Wednesday episode replays the week before.